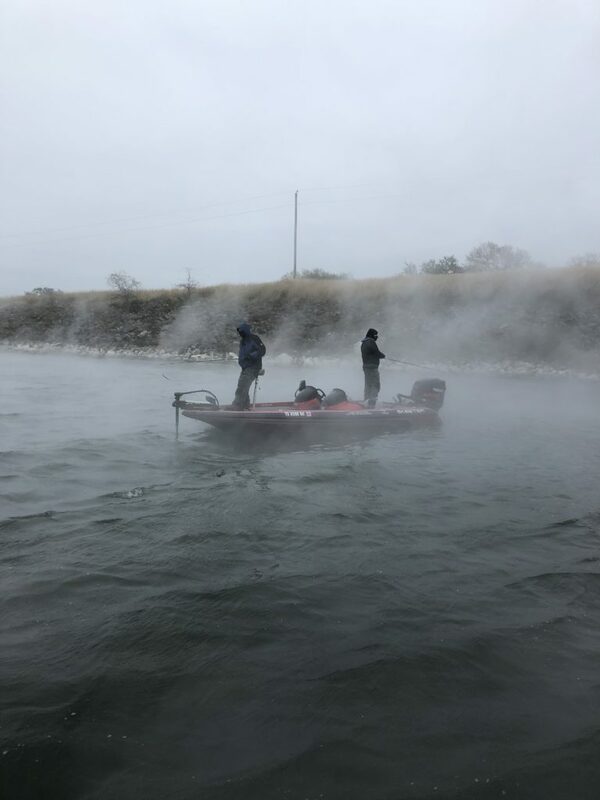 After seeing how cold it was some of the members caught an extreme fog that seem to come through around the discharge…It looked like something from a scary movie seriously…. 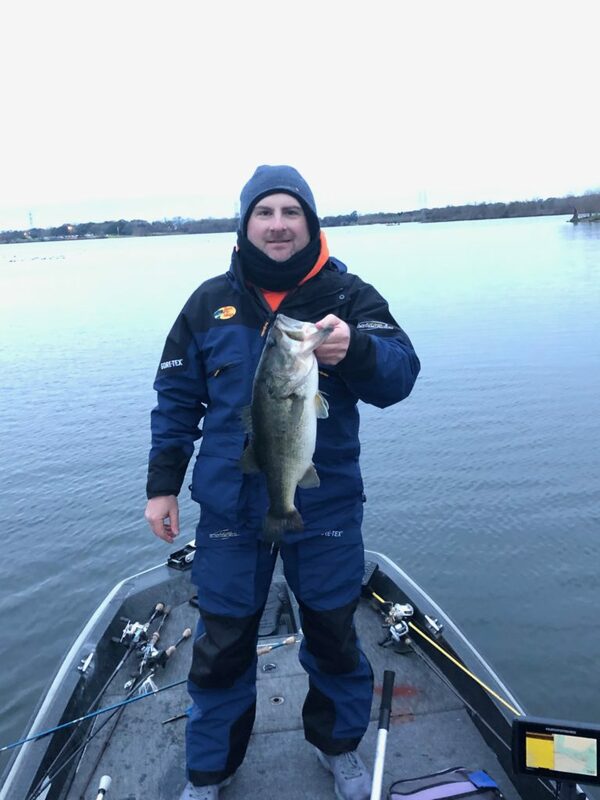 Then Tom (our fearless leader) caught this beautiful 21.00″ Bass! Nice one Tom! !